The short answer is that everyone has their own interpretation of Finnegans Wake. "One great part of every human existence is passed in a state which cannot be rendered sensible by the use of wideawake language, cutanddry grammar and goahead plot." Many have contended that the book is essentially a dream, but no one can agree on whose dream it is. Perhaps, as Seamus Deane puts it, it is a "communal dream, a dream of the human family, with the 'history of the world' as its memory." "The important thing is not what we write, but how we write, and in my opinion the writer must be an adventurer above all, willing to take every risk, and be prepared to founder in his effort if need be." The same could easily be said for a reader of Joyce, and the audience member of riverrun: it is not what you experience, but how you experience it, and the reader must be an adventurer who is prepared to founder if need be. Or, as T.S. Eliot once said, "Genuine poetry can communicate before it is understood." 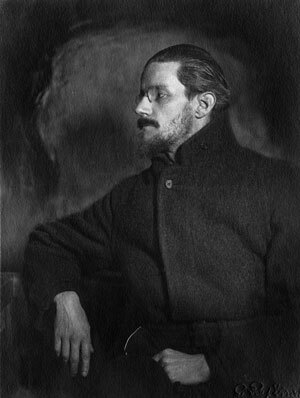 Joyce wrote Finnegans Wake on the heels of Ulysses, which had made him a literary star. But, when excerpts from the new book first appeared, even Joyce's friends were unimpressed. Literary heavyweights from Ezra Pound to Vladimir Nabokov were disparaging to say the least. Virginia Woolf had already described his style as reminiscent of "a queasy undergraduate scratching his pimples." The gloves were off. "Here form is content, content is form. You complain that this stuff is not written in English. It is not written at all. It is not to be read – or rather it is not only to be read. It is to be looked at and listened to. His writing is not about something; it is that something itself. […] Here words are not the polite contortions of 20th century printer’s ink. They are alive. They elbow their way on to the page, and glow and blaze and fade and disappear." The literary establishment remained divided and, to an extent, they still are. But few would question the book's significance, whether or not they admire it. In the meantime, academia took up Joyce's work – parsing it for mythical meaning, heralding it as a waymarker on the road from modernism to postmodernism, Jacques Derrida and deconstructionism had a look in too. The academic attention secured Finnegans Wake as a canonical text, but it also added to the arsenal of its disparagers: creating the (false) sense that you need a literary doctorate to read it. Olwen Fouéré is one of Ireland's leading actors and theatremakers, known for her work on stage and screen. The inspiration for her to adapt Finnegans Wake came almost four years ago, here in Sydney, when she was asked to read some Joyce at the Irish consulate in celebration of Bloomsday. As she puts it in this video feature on her, "The theatre that interests me is the theatre of disturbance, where people feel a little bit altered afterwards, a little bit uneasy, but they can't get it out of their mind."